Red Coral Power |Gem of the Planet Mars | Ngaraka | Kuja | Mangal | Vidrum | Natural Talisman. 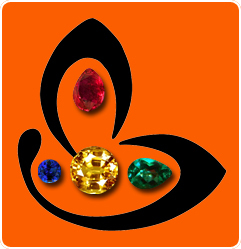 Comments There is a very obvious and different approach of individuals who have tried and experienced the power of gems. When the doubts are removed, there is only a desire to maximize the benefit from the natural gems. Featured today is an amazing customized pendant – two natural and Organic Red Corals have been combined and set in Sterling Silver to form a pendant that resembles the symbol of Mars. The fine organic Red Corals are from Italy and have a combined weight of 8.16 carats. The patron was keen of having something innovative and powerful at the same time. These natural and organic Red Corals are characterized by the rich Mediterrenean Ox blood color – a color that is widely sought after among the corals. Red Coral is the gem of the Planet Mars or Angaraka/ Kuja/ Mangal/ Vidrum as he is severally known. 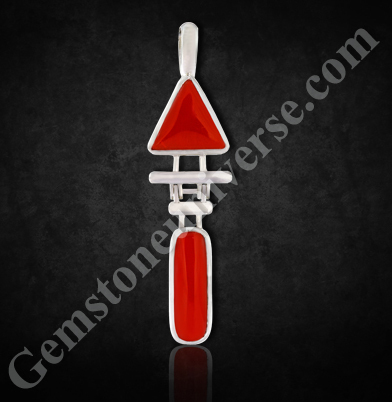 A naturaland organic red coral crafted into a talisman becomes a powerful medium for harnessing the powers of Mars, which is essentially the planet of vigor, vitality, youth, strength and fearlessness. Get yours and get ready to get ahead!